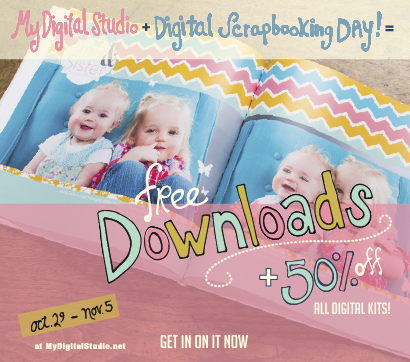 FREE Digital Downloads for MDS!!!! You can access your free downloads from my online store! Get a BONUS FREE Download:If we get 18,000 downloads of FREE items we’ll give you another FREE download! See the list of kits below. You can also view our kits in the online store here. Note that the sale won’t be reflected in the store until October 29. Visit: www.mydigitalstudio.net to see all of the incredible projects and how to videos!